Trying to find for a children’s book about triathlons? Then look no further! 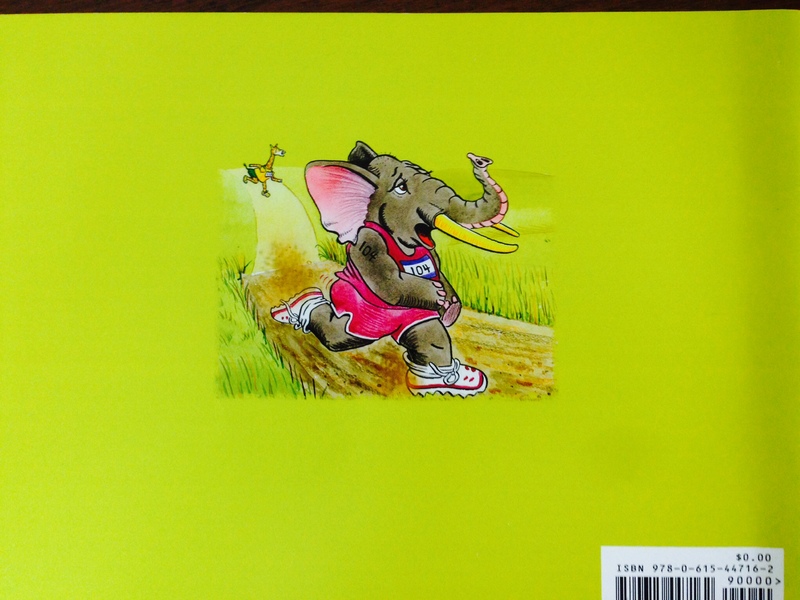 My friend Roseann (who did Ironman Lake Placid with me this summer, as well as being a spin instructor) wrote it — complete with bright and richly colored illustrations. 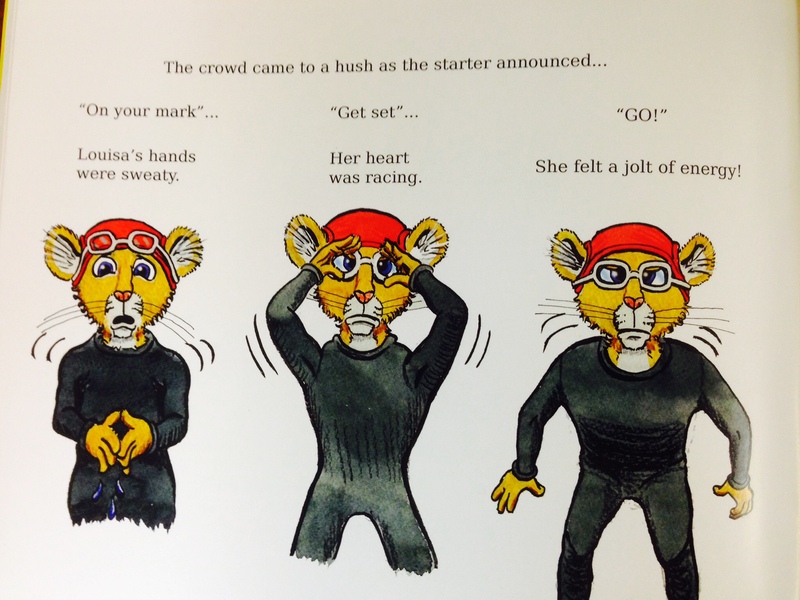 The book follows Louisa the lion’s adventure in completing her first triathlon. 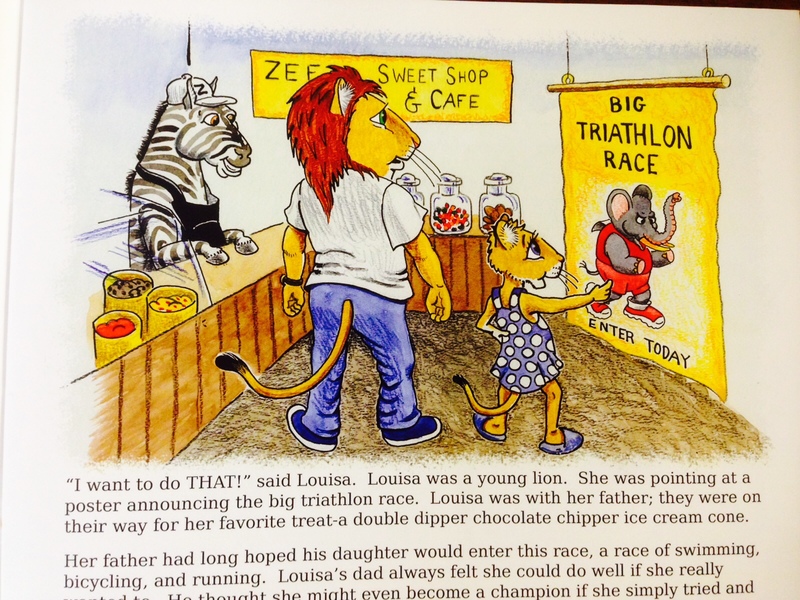 Louisa the lion is coached by another lion named Coach Big Shot, overcomes obstacles like swimming around hippos, cycling around elephants, and running around a sleeping rhino. Louisa keeps telling herself that she can do it. Be sure to read the book to see what happens! The book is a great gift for any tri lover! To order a copy of Just Tri! – email 1roe@optonline.net with the subject line “YoungTri – Just Tri Book”. The book includes lessons about hard work and dedication — and is a must-read for every triathlete (young and old)! The book is SO cute and unique — I’ve never seen another children’s book like it! Again, to order a copy of Just Tri! 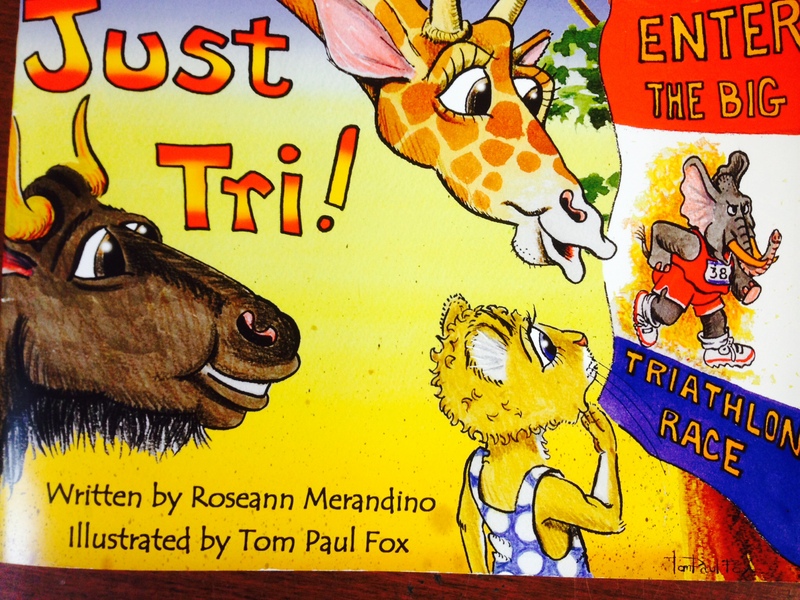 – email 1roe@optonline.net with the subject line “YoungTri – Just Tri Book”. It’s a must read for any tri lover!